If you are suffering from arthritis of any type like Osteoarthritis, Rheumatoid arthritis, Gout, arthritis of Dengue, Chikungunya; acupuncture, is right treatment for you. You can move painlessly with treatment from MD specialist with 40 years of experience at modern 4.5 Star* rated acupuncture clinic in Nashik. No drugs. No side effects! Arthritis is inflammation of joints causing swelling, pain, stiffness and decreased range of motion. There are more than 100 types of arthritis but common ones are osteoarthritis, rheumatoid arthritis, gouty arthritis, dengue arthritis and chikungynya arthritis. Other types are inflammatory arthritis, psoriatic arthritis, polyarthritis, juvenile rheumatoid arthritis and others. Pain is one of the common rheumatoid arthritis symptoms and osteoarthritis symptoms. Other symptoms may be joint redness, joint swelling, joint tenderness, joint warmth, limping, locking of the joint, loss of range of motion of the joint and stiffness. Arthritis is a commonly misunderstood disease. Severe form of arthritis can result in chronic pain, mobility restriction makes it difficult to walk or climb stairs and inability to do daily activities. It can cause permanent joint damage. These changes may be visible, such as knobby finger joints, but often the damage can only be seen on X-ray or MRI. Some types of arthritis also affect other organs like the heart, eyes, lungs, kidneys and skin as well as the joints. The most common type of arthritis is osteoarthritis like osteoarthritis knee. When cartilage, the thin, cushioning surface bones joints – wears and tear away due to age, and body is not able heal itself, bone rubs against bone, causing pain, swelling and stiffness. With aging process over many years and passage of time, joints may lose strength and pain may become permanent or chronic. The damage can be hastened by infection or injury. Family history, age and previous injury are risk factors. Most important aim of management or treatment for osteoarthritis is to preserve mobility, joint function and quality of life. Knowing about the disease, osteoarthritis treatment options, making time for physical activity and maintaining a healthy weight are essential. Osteoarthritis is chronic disease of long term. There is no osteoarthritis treatment which treats all problems and there is no osteoarthritis cure. Symptoms can however be managed fairly well. When the symptoms of osteoarthritis are mild or moderate like gait disturbances they can be managed by acupuncture treatment. Medication for osteoarthritis, like analgesics for example acetaminophen reduces pain. NSAID like ibuprofen and aspirin reduce inflammation and related pain. Corticosteroids are powerful anti-inflammatory medicines but cannot be given for long term. Steroid injection in joints is sometimes used. Hyaluronic acid occurs naturally in joint fluid. It breaks down in osteoarthritis. The injection in joint may help lubrication and pain. Patients also seek alternative therapies for knee pain like osteoarthritis treatment in Ayurveda, osteoarthritis treatment in homeopathy, osteoarthritis treatment in Patanjali or treatment natural osteoarthritis treatment. Some patients try natural remedies for osteoarthritis in hope of cure for osteoarthritis. Some patients of osteoarthritis treatment in Hindi speaking areas complain of arthritis more than others. Osteoarthritis treatment exercise: Physical and occupational therapists can provide a range of osteoarthritis treatment options for pain management including: ways to properly use joints, heat and cold therapies, range of motion and flexibility exercises, assistive devices. There is no osteoarthritis treatment diet, but reducing it is essential for obese patients. Devices like scooters, canes, walkers, splints, shoe orthotics or helpful tools, such as jar openers, long-handled shoe horns or steering wheel grips. Some items, such as shoe wedges and knee braces and are specially made. When joint symptoms are severe, causing limited mobility and affecting quality of life, joint replacement may be necessary if above management strategies fail. Yoga treatment for osteoarthritis pain, especially due to inflammation and can be effective. Yoga involving pressure on joints or stretching or rotation of arm can irritate nerve around and exacerbate complaints. Similarly Tai Chi treatment for osteoarthritis pain is effective. Qigong treatment for osteoarthritis pain needs special training and can be useful tool of management. Respect warning signal of pain from body when doing exercises. Exercises must be slowly progressive. Sudden load on muscles or must be avoided. Patients report having taken Ayurvedic treatment for osteoarthritis pain and reported some relief also. Similarly, Homeopathic treatment for osteoarthritis pain has also had some satisfied patients. Acupressure treatment for osteoarthritis pain has limited scope. Conventional Osteoarthritis Treatment Osteoarthritis medicines include anti inflammatory drugs. Other arthritis remedies specific physiotherapy and exercises. In most of cases there is no arthritis cure but with proper management there can be substantial arthritis relief . Joint pain treatment depends upon type of pathology. Similarly, arthritis pain relief or joint pain relief will vary accordingly and so also requirement of arthritis medication. Rheumatoid arthritis treatment will need immune suppression treatment. Arthritis diet Foods that are high in purines, especially red meats alcohol, corn syrup and shellfish, can worsen gout arthritis. Gluten-containing foods (wheat, barley, rye) can worsen joint pains celiac disease. Some Osteoarthritis may benefit from omega 3 fatty acid supplements. Majority forms of other arthritis are not affected by diet. Rheumatoid arthritis diet has same criteria. However fish oil may have anti-inflammatory properties. Symptom of rheumatoid arthritis is pain especially in small joint. Signs of rheumatoid arthritis are redness, swelling or even deformity of joints. 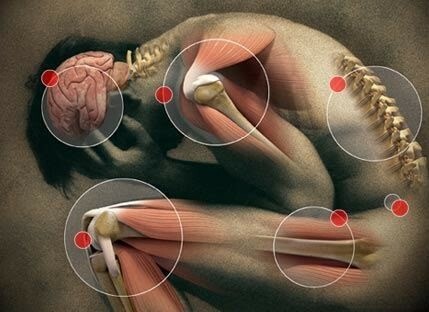 Rheumatoid arthritis causeGenetic factors do play role in possibility of suffering. It is more in advancing age. Women are more likely to have it. Previous injury can trigger activity of RA. Obesity is supposed to increase chances of it. Immune system of our body protects us from exogenous factors therefore a healthy immune system is essential. It generates internal inflammation to get rid of microbes and foreign bodies and prevent disease. Same immune system can mistakenly attack the joints with uncontrolled inflammation, potentially causing erosion and damage of synovial membrane, cartilage and bones of joint and cause damage as in arthritis like rheumatoid arthritis and psoriatic arthritis. Combination of genetics and environmental factors can this trigger autoimmunity. Rheumatoid arthritis of hand can make daily activities difficult. It can make joints twisted and deformed. Rheumatoid arthritis of big joints makes movements painful and brings in limitation. Best treatment for rheumatoid arthritis should be acupuncture and it should be first line of therapy as is effective, safe simple and without drugs. Rheumatoid arthritis treatment cost is far less in by acupuncture than other methods. Pain and inflammation of rheumatoid arthritis responds well to acupuncture treatment by qualified doctors. Following report substantiate the efficacy of acupuncture treatment in rheumatoid arthritis. Many scientific studies have confirmed role of acupuncture in arthritis. In rheumatoid arthritis treatment plan - Analgesics like acetaminophen can reduce pain but not inflammation. NSAID can reduce pain and inflammation but can cause stomach irritation. Some NSAID are available as local applicants. Counter irritants can distract pain signal and can be of some value. Modified anti-rheumatic drugs like methotrexate can slow down immune system from attacking joints. Rheumatoid arthritis treatment side effects due to drugs are not uncommon. Biological response modifiers target various protein molecules responsible for immune response. Corticosteroids like prednisone, can suppress immune response. They can be taken orally. Rheumatoid arthritis treatment injection of steroid in joint can relive symptoms to some extent. In autoimmune and inflammatory types of arthritis, early diagnosis and aggressive treatment is important. Management to slow down disease activity can help minimize or even prevent permanent joint damage. Goal of may be achieved through the use of one or more medications known as disease-modifying anti-rheumatic drugs. The aim of treatment is to reduce pain, improve function, and prevent further joint damage. In rheumatoid arthritis treatment guidelines, aim of treatment is improvement of function and mobility of joint requiring number of modalities in arthritis treatment centres. Rheumatoid arthritis treatment at home includes yoga and Tai Chi by slow stretching of muscles can promote joint flexibility in some arthritis. Rheumatoid arthritis treatment exercise also increases general being. Medication for rheumatoid arthritis: Rheumatoid arthritis treatment centres advice multi pronged approach. Surgery When conservative treatment does not help, following surgery may be considered. 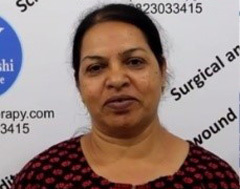 Joint repair by arthroscopy to realign or smoothen can be carried out. Joint replacement like knee or hip may be possible. Joint fusion as in wrist, ankle, and fingers may be considered. Massage may also help by improving local blood circulation. There is no rheumatoid arthritis cure but symptoms can be controlled to great extent. 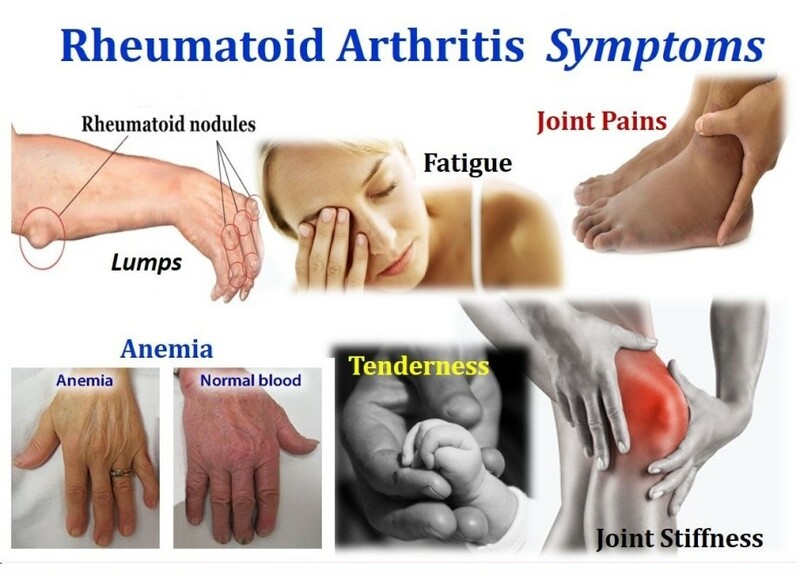 Rheumatoid arthritis treatment Patanjali, rheumatoid arthritis treatment in Ayurveda or rheumatic arthritis homeopathic treatment have their own limitations. There is no special rheumatoid arthritis treatment diet, but calorie restriction is desired in obese patients. Rheumatoid arthritis treatment natural methods have limitations. I have been suffering from rheumatoid arthritis since 4 years. There was lot of pain on walking or moving. 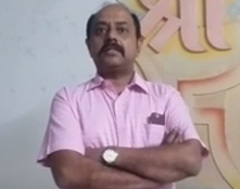 I tried allopathic, Aurvedic and homeopathic treatments but had no relief. Now I have taken Dr Pardeshi Acupuncture Pain Therapy and my pain is reduced by more than 50%. Now I am able to walk and move comfortably. Chikungunya disease is viral infection with similar symptoms but less dangerous than dengue. Disease duration may last for one to two weeks but joint pain may last for long time. Chikungunya virus infection transmitted through Chikungunya mosquito. Chikungunya fever may be first important symptom. Chikungunya rash may be also be accompanied by nausea headache and fatigue. Chikungunya joint pain is troublesome complaint of patients. Chikungunya virus infection transmitted by mosquito is cause of disease. Causes of Chikungunya may be abundance of mosquito breeding and presence of virus in the area. Chikungunya remediesM Acupuncture is excellent therapy to treat body pain of joints and muscles. The results are generally instant and dramatic. Being drugless therapy there are no side effects. Chikungunya treatment for joint pains is analgesics like paracetamol. Apart from medicine for Chikungunya joint pain, general care is needed to manage rest to of complaints. Chikungunya cure and complete recovery is generally seen. Chikungunya prevention Since Chikungunya virus is transmitted through mosquito, its control and avoidance it mainstay of prevention. There is no commercially available Chikungunya vaccine at present. Information on Chikungunya Wikipedia and Chikungunya treatment in Hindi can be availed on net from various sources. What is Gout? Gout is arthritis causing sudden burning pain, stiffness and swelling in joints, usually big toe. It can damage joints tendons, and other tissue. It’s common in men. It’s caused by raised uric acid in crystalline form. When body breaks down Purines, a substance found in human cells and in many foods uric acid is formed. Some people have raised levels of uric acid because either they are produced in excess or excreted slowly. In some people the uric acid can build up and forms needle-like crystals in the joint, resulting in sudden spikes of extreme joint pain, or a gout attack. Gout can become chronic, causing ongoing pain and disability. 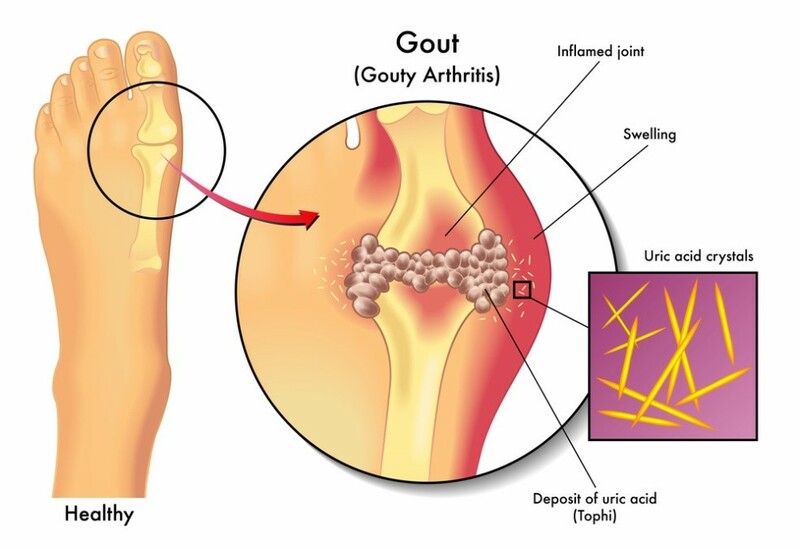 Factors increasing chances of gouty arthritis are obesity, alcohol, meat and purine containing substances. Diagnosis Common symptom is night time attacks of sharp pain associated with swelling, redness, and tenderness in big toe. The attack last for days, or weeks and subsides to reappear after months or years. Treatment is essential even if here attack has subsided, because uric acid can build up and damage joint. DiagnosisPhysical examination indicates its presence. Examination synovial fluid from joint for crystals is sure way of diagnosis. Raised blood uric acid also indicates its presence. Treatment of Gout Acupuncture should be first line of treatment because of its efficacy, simplicity and safety aspect. Home treatmentIce pack and elevate the joint. Drink plenty of fluids. Relax meditate. Take anti-inflammatory drugs. Despite of severe onset, the attack subsides in 8 to 10 days. First 3 days are more painful. Medical help is essential. Medications NSAID, corticosteroids, cochicine are commonly prescribed for symptomatic pain. Drugs to reduce uric acid like allopurinol, febuxosat, probenecid, lesinurald, pegloticase are also used. 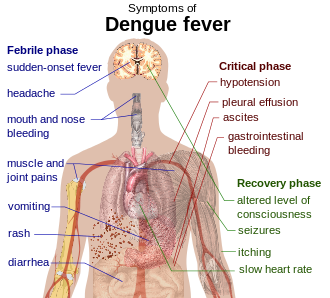 Dengue disease is infection caused by dengue virus through dengue mosquito bite. It is painful debilitating, viral infection with fever. Dengue symptoms include high fever and severe headache, with pain behind the eyes that is apparent when trying to move the eyes. Dengue fever band may reach up to 104F quickly. Dengue symptoms include sudden high fever 6 days after infection along with severe headache, pain behind eyes, muscle pain fatigue, nausea, and skin rash. Symptoms of dengue can last for 10 days. Dengue Fever Causes Causes of dengue are dengue virus transmitted by mosquito. It is not contagious. It has to come through mosquito only. Prevention of dengueSince dengue virus is transmitted though mosquito, prevention of mosquito bite is essential step towards dengue fever prevention. Dengue vaccine - Dengvaxia can be administered in dengue is endemic area as a three-dose series in people 9-45 years of age.